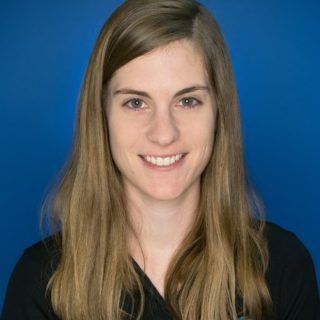 Greta Grover is an ABC Certified Prosthetist-Orthotist at Medical Center Orthotics & Prosthetics. Greta joined MCOP in 2016 as a Prosthetic Resident. Greta received a Masters in Science in Prosthetics and Orthotics (MSPO) from the University of Pittsburgh. Greta graduated with her Masters degree in 2016 and now sees patients in Silver Spring, MD and at Walter Reed. Greta most enjoys being able to improve her patient’s day-to-day experience through advanced prosthetic technologies and careful prosthetic craftsmanship. Greta’s proudest professional moment to date was her podium presentation at the 2016 AOPA conference, where she presented on ways to improve prosthetic care for amputees with obesity. Once of Greta’s coolest prosthetic creations to date was a pair of custom feet that she created for a patient who was a deep sea diver. Greta currently resides in greater DC and loves to get outdoors and go hiking when outside of the office. Greta also enjoys volunteering, and currently volunteers at Camp No Limits, a nationwide summer camp for amputee children.